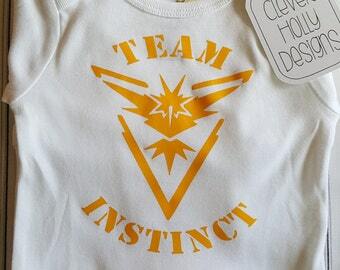 Star Trek Baby "Future Captain" Onesie Body Suit. 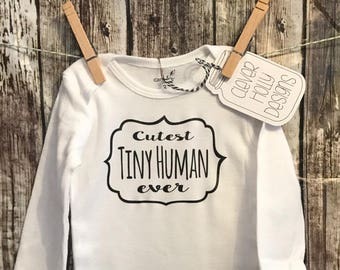 A baby gift for the ultimate Trekkie. "Mommy" and "Daddy" and other variations or customize. See photos for other versions ("That's Captain Baby to you", "Future Captain" ). 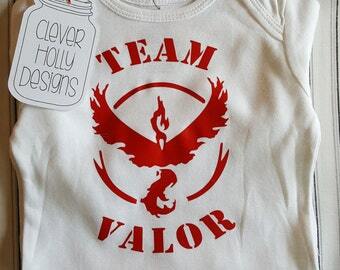 Available sizes include: 0-3 mos., 3-6 mos., 6-12 mos., and 18 mos (Newborn size available upon request). Please specify choice of long sleeve or short sleeve. 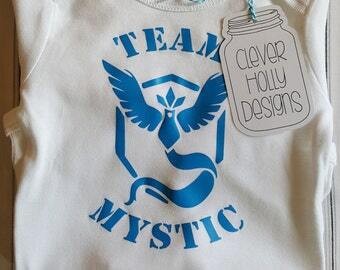 You may choose either genuine Gerber onesies or Carter's bodysuits.... both are 100% cotton and soft and comfy. Let me know which you would prefer in the notes. If you don't specify then I'll choose one for you. Machine wash inside out on gentle cycle and lay flat to dry. Star Trek Baby "Beam Me Up Mommy" Onesie Body Suit. 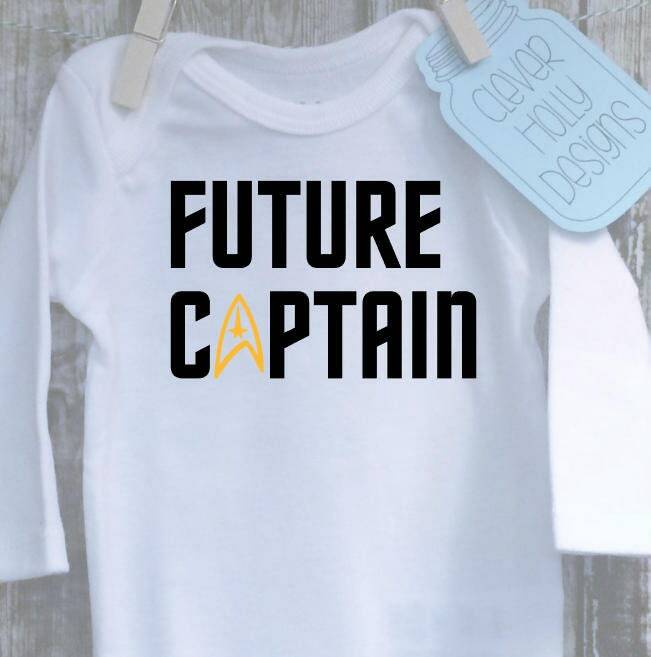 A baby gift for the ultimate Trekkie. "Mommy" and other variations or customize it.